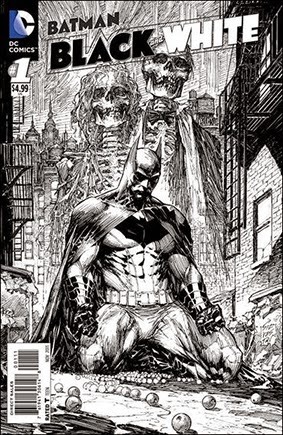 • PLOT SUMMARY: The legendary, Eisner Award-winning series BATMAN BLACK AND WHITE returns in a brand-new six-issue miniseries featuring tales of The Dark Knight by some of comics' greatest writers and artists! This first issue kicks off with stories by Chip Kidd and Michael Cho, Neal Adams, Joe Quinones and Maris Wicks, John Arcudi and Sean Murphy, and Howard Mackie and Chris Samnee! Cover by Marc Silverstri (W) Chip Kidd & Various (A) Michael Cho & Various.